Momotaro is, like most strong Japanese Denim brands, from the birthplace of Japanese denim, the Kojima district of Okayama - founded in 2006. It is from the same collect mill as Japan Blue - and to many the big brother of denim. The name and Peach Boy logo, is from Okayama folklore, a strong warrior boy who fought the demons. Everything Momotaro, and their denim artisans do are so rooted in Japanese culture, even the famous white stripes represents the Japanese flag Hinomaru. So there is truly truth in the saying: It will be Okayama if it is called Momotaro. It will be Momotaro if it is called Okayama. It will be Okayama if it is called Jeans. 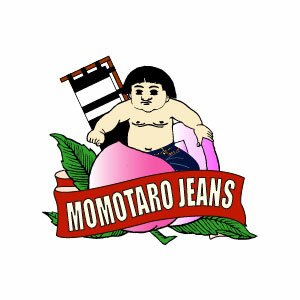 It will be Jeans if it is called Momotaro.